WagMore Veterinary Care Wellness and Acupuncture is located in Millbury, MA. We brought this site over from a “DIY” situation which it had “outgrown” and made it into a friendly, solid, and consistent experience for its visitors. 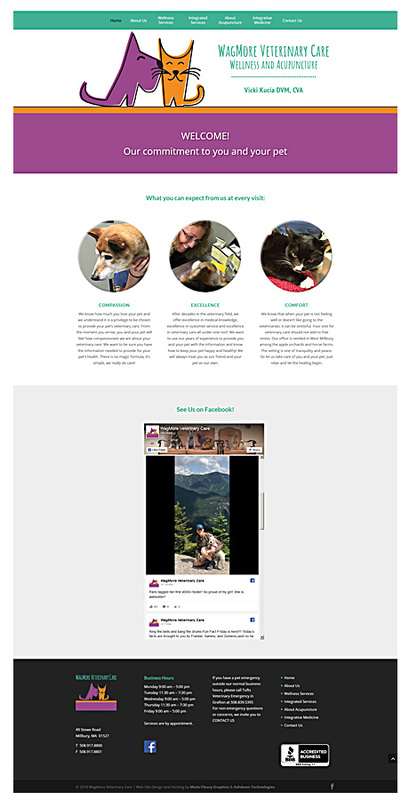 Needless to say, it was an honor to create this updated version of a site for a veterinary practice which is so compassionate and devoted to excellence. Dr. Kucia and her entire staff are exemplary and have special expertise in such areas as acupuncture and integrative medicine.